Gurgaon is a city in the state of Haryana and is a part of the National Capital Region that many people are talking about today. Just like any other city in the country, Gurgaon does have its ups and downs at times, something that is undeniable. Yet, being a city that merely existed two decades ago, Gurgaon has come a long way over the years and is one of the biggest IT and financial hubs in India. With constant development in infrastructure, public utilities and more, this city continues to grow every single day,with something bigger and better that all its inhabitants will always appreciate. Without a doubt, when it comes to a modern-day lifestyle with beautiful living, education and job opportunities, Gurgaon is the place to be. Gurgaon is one of the fastest-growing cities in the country today, a city that has grown more than 70% during the past decade to more than 1.5 million people that reside in it. Living in a Residential apartment in Gurgaon just feels like heaven and you will experience luxury and comfort to the fullest. There are more than 26 malls in Gurgaon that contain the best luxury stores selling high-end international brands and exclusive restaurants in the country. While the numbers of automobile showrooms are many, you will also find seven golf courses that are simply top-notch.While the wide range of education hubs offers the highest grade of education for a better and smarter nation, it cannot be denied that Gurgaon has a younger and more educated demography when compared to the other parts of the NCR. Cyber City is an incredible and hi-tech commercial hub that contains several of the finest corporations in the world. Gurgaon also takes credit for about half of all revenues in the state of Haryana. In fact, with 30 million square feet of commercial space only, this city even goes beyond the total in New Delhi. Results state that although Noida started growing about 20-25 years before Gurgaon and is comparatively closer to South and Central Delhi, it has not been successful in pulling in large businesses and its property market is also not that strong. In fact, more than 350 Fortune 500 companies have their India headquarters in Gurgaon today due to plenty of reasons.An essential reason is because the city's commercial space is keeping-up with time and is modern, spacious and way cheaper as compared to the prices in New Delhi. The second reason is because Gurgaon has the most educated young professionals who pave-way for the organisations profits, while the Metro and other public transport available offers easy connectivity throughout the city and the National Capital Regions. Job opportunities and outsourcing continue to thrive in Gurgaon today anda leading Indian industrial association determined that outsourcing is responsible for an approximate of 500,000 jobs in Gurgaon. Without a doubt,where there are people, there are housingprojects and the residential spaces that you will find in Gurgaon are among the best that you will ever find elsewhere. With a wide flow of residential spaces, property prices are simply climbing the ladder each day. May it be a new home or an investment, Gurgaon is the ultimate destination for both, buyers and investors. However, finding the perfect apartment is a crucial element for a well-endowed lifestyle of pure luxury that you and your family will love. 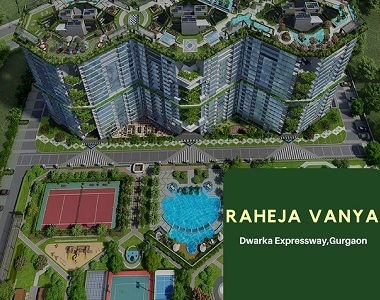 Raheja Vanya is one of the latest residential projects by Raheja Group that offers supreme luxury and comfort that you have always desired. This development offers 2BHK and 3BHK luxury apartments that are crafted to perfection. With big area sizes, luxury space is something you will find in every apartment and that is for sure. Raheja Vanya Gurgaon is residential development that offers sophisticated features that you will admire every day. You will find spacious apartments that are air conditioned, provide good natural lighting and contain high-end doors and windows, premium flooring, stylish kitchens, luxury furnishings and fittings, re-cycled water only used for flushing in washrooms, safety features and more. You will find world-class external amenities at this development that will truly satisfy your soul. They include a lavish clubhouse, gymnasium, meditation centre, swimming pool, spa, sauna, multipurpose hall, multiple sports facilities and a play-area for your kids, fabulous landscape garden, open space, power back-up, well-trained security with CCTV footage and solar power generation, rain water harvesting, sewage treatment at the roof-top. 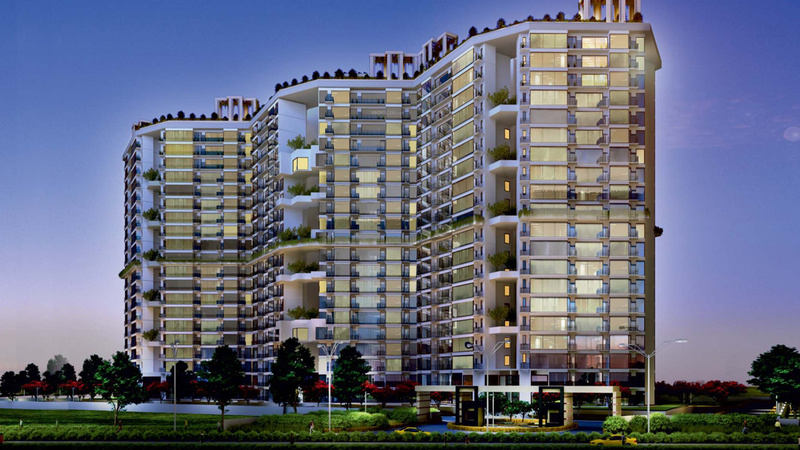 A beautiful life in Gurgaon is what you will experience at this incredible development. Situated at Sector 99A, Gurgaon, this development has all of your everyday and emergency landmarks in its vicinity.Places like schools, universities, banks, ATMs, malls, shopping centres, supermarkets, convenience stores, restaurants, cafes, public transport, etc. can be accessed without any hassles. 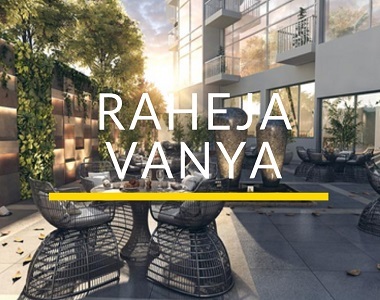 The Raheja Vanya Price is affordable and definitely worth a purchase. Located at a perfect area in a perfect city, the apartments at this development will never let you down.Book your apartment today and enjoy all the luxuries that this development and Gurgaon has to offer.